I am a Family Law Attorney who cares about my clients. I understand that my clients are in the midst of a difficult period in their lives. And by accepting their case, I have made a commitment to be there for them -- to help them, to advise them, to support them, and to fight for them. I will tenaciously protect my clients' interests by applying the legal knowledge, litigation and negotiation skills, and powers of persuasion that I have gained over my thirty-plus years of Family Law experience. I will work with each client to creatively explore options for settling his or her dispute in a healthy, amicable, and inexpensive manner if possible. These options may include the use of alternative dispute resolution methods, such as mediation, settlement conferences, active negotiation, or collaborative divorce. However, if a fair settlement cannot be achieved, then I can be counted on to aggressively fight for my clients' rights, utilizing the skills I have honed over many years as a courtroom litigator. My goal is to protect my clients; to preserve their relationship with their children; to assure that they receive a fair division of assets; and to obtain the financial support they need to provide a secure future. I will continue to be both a caring, compassionate attorney, and a fierce advocate for the best interests of my clients. Gary Frank is a Family Law Attorney with over 30 years of experience in the areas of domestic relations, divorce, custody, division of property, support, modification actions, enforcement actions, Grandparents and non-parents rights, and all other matters pertaining to families and children. Mr. Frank's experience includes acting in the capacity of a Judge Pro Tempore in the Maricopa County Superior Court; and serving on the Governor's Child Abuse Prevention Task Force. 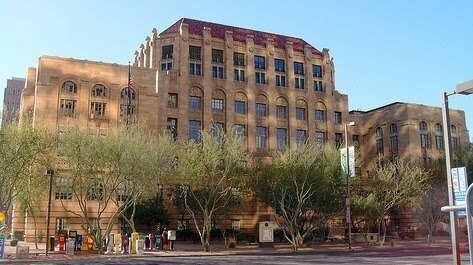 If you are in need of a consultation, please do not hesitate to call our office at 602-383-3610; or you can contact us by email at gary.frank@azbar.org, or through our website at www.garyfranklaw.com. We look forward to hearing from you.